Give your hardworking hands a special treat by making a batch of homemade goat's milk hand lotion. Thick, creamy goat's milk is rich in nourishing protein and vitamins A and D, which promote strong, supple skin. In addition, the lactic acid in goat's milk acts as a gentle exfoliant, restoring and rejuvenating tired skin by removing dead, dry skin cells. Goat's milk lotion is especially beneficial for sensitive skin and dry, chapped hands. 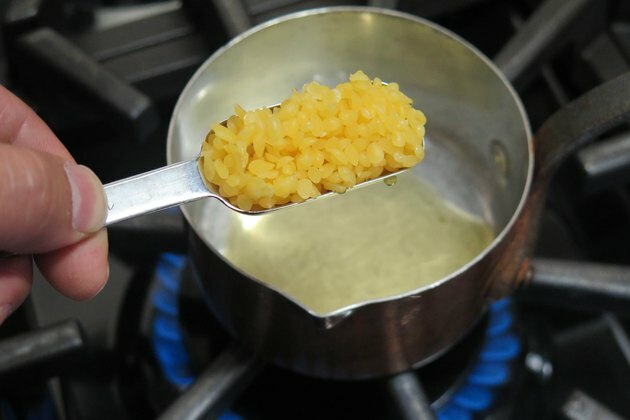 Place 3 tablespoons palm oil and 1 1/2 tablespoons beeswax pearls in a saucepan. 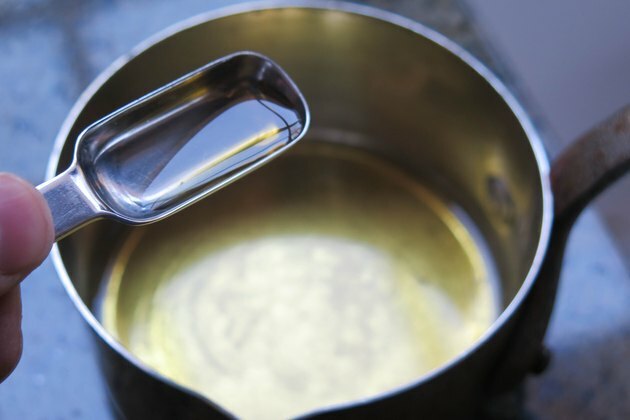 Turn the burner on low heat and slowly melt the oil and beeswax. Remove the mixture from the heat and stir in 3 tablespoons sweet almond oil, 2 tablespoons pumpkin seed oil and 1 tablespoon apricot oil. Add 4 to 6 drops of essential oil, if desired. Try lavender, geranium, jasmine, rose or bergamot essential oils to moisturize dry skin and add a pleasant fragrance to the goat's milk hand lotion. 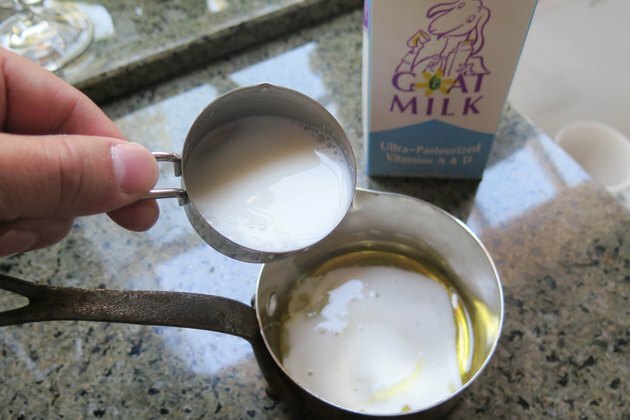 Pour 1 cup of canned, condensed goat's milk or raw goat's milk slowly into the oil mixture as you blend it with a stick blender. Alternatively, place the oils in a blender. Turn the blender on the lowest speed and slowly pour in the warm goat's milk. Blend until the lotion is thick and creamy. 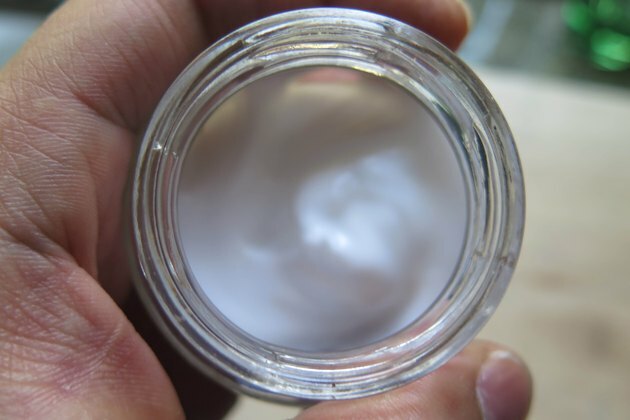 Pour the goat's milk hand lotion in an airtight container. 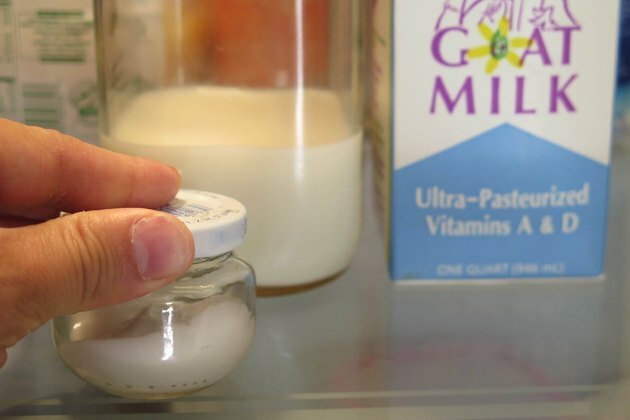 Store the container in the refrigerator and use the lotion within two weeks. 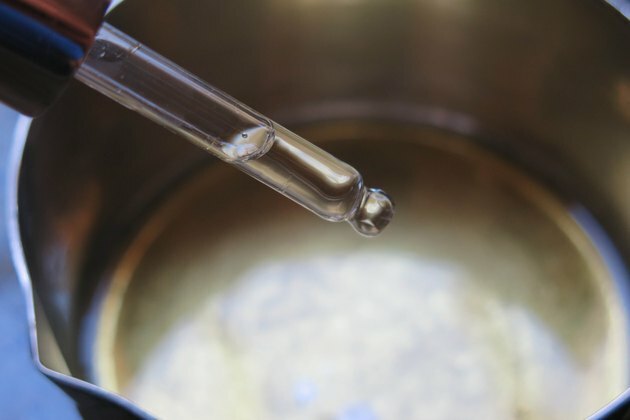 Can You Heal Dry Cracked Hands With Vinegar?